As IoT coverage continues to grow, the rising amount of data IoT sensors generate and the growing need to act more quickly on data insights is spurring interest in artificial intelligence. Research firm Tractica, which tracks AI-related revenue by industry, is forecasting that total AI revenue in the transportation industry will rise from $97.3 million this year to $1.25 billion in 2025. AI revenue from logistics industry opportunities (which Tractica forecasts separately from transportation) is expected to reach $1.26 billion by the same year, up from $151.8 million this year. 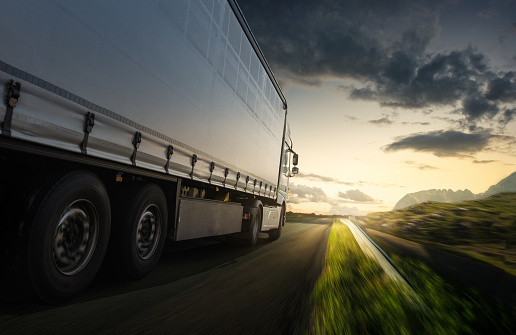 Companies in the transportation and logistics that want to leverage AI may need to start at a fundamental point of understanding what AI is, what it is capable of, and what it requires on their part to provide the most value for them. Any enterprises looking to deploy IoT connectivity and architectures have come face-to-face with the reality that IoT is a buzz-laden, overarching acronym suggesting many different things and covering a variety of different technologies and applications. The same is true of AI, which generally involves the concept of rules-driven algorithms processing data, learning from data, deriving insights from data, and perhaps even autonomously acting on that data. “The goal with AI is to be able to take in information, which may be current parameters or historical data, process that information, and make decisions based on it the same way that humans do,” said Keith Kirkpatrick, principal analyst at research firm Tractica. “Just to be clear, we’re a long way of from being able to do that.” In the meantime, AI-based systems can feed data-fueled insights and recommendations to humans to make better or faster decisions, but first, the AI itself needs to be fed. Enterprises wanting to leverage AI need to have repositories of data that an algorithm designed for a specific application can process, analyze and continue to learn from. Even if companies have existing repositories of data, or deploy infrastructures like IoT networks to generate that data, they still need to deploy AI-based systems and devices to follow sets of weighted rules to deliver relevant recommendations and insights. As AI capabilities are applied to IoT network architectures in the years to come, they will require human training and supervision to provide them with the knowledge of relevant rules and goals tasks. Consumers and enterprise companies have become used to package tracking technology. But IoT and blockchain could offer a new dimension of resolution in logistics.